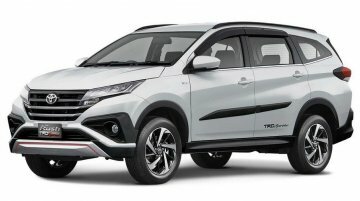 The Honda BR-V hasn't received much success in India, but Toyota Kirloskar Motor still has decided to launch a similar product - the Toyota Rush. Citing undisclosed dealer sources, a new report from.. 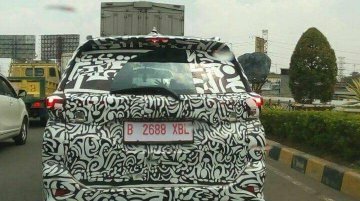 While the SUV segments of the Indian car market look all set to heat up in 2019 with the launch of the Tata Harrier, Nissan Kicks, Hyundai QXi, Kia SP2i and the MG premium vehicle, there are renowned.. 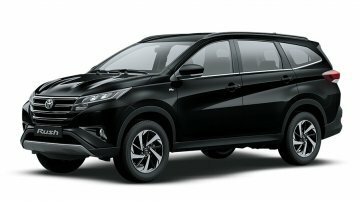 The second-generation Toyota Rush, manufactured in Indonesia, is on sale in South Africa in two variants - High MT and High AT, priced at ZAR 302,900 (INR 15,19,658.94) and ZAR 316,600 (INR.. There are a host of new SUVs that will launch in India in the next 12 months. 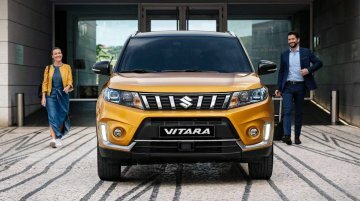 The list of upcoming SUVs in India includes the Mahindra Y400, the Nissan Kicks, the Tata Harrier and host of mid-cycle.. 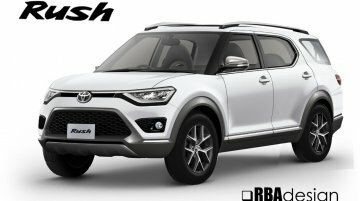 Following Asian and African markets this year, the 2018 Toyota Rush has reached Caribbean and Latin American markets. Towards the end of last month, Toyota introduced it in Colombia. 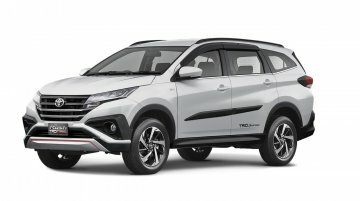 Toyota South Africa has introduced TRD accessories for the Toyota Rush, which was launched in their market last month in two variants. 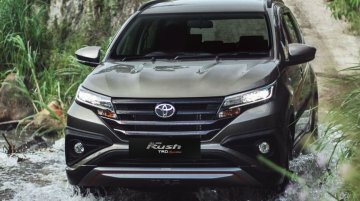 Customers can now choose individual TRD accessories, or have all..
PT Toyota Astra Motor unveiled the second generation Rush in Indonesia in November last year. 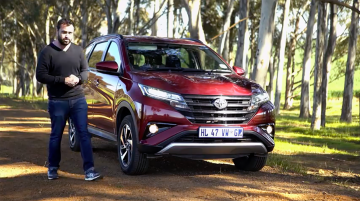 The 2018 Toyota Rush is headed to South Africa in the first week of July. An Instagram post by a Toyota.. 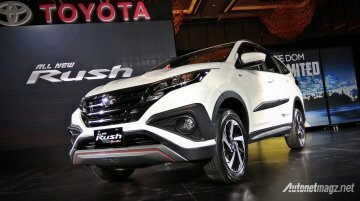 According to Indonesian publication AutonetMagz, the 2018 Toyota Rush will cost around IDR 3 million (INR 14,361) more than the model it replaces. 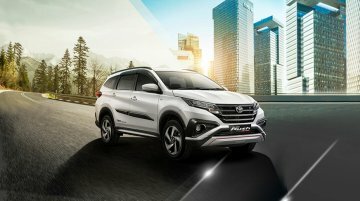 The new Toyota Rush and Daihatsu Terios twins were u..
Toyota Astra Motor has taken the wraps off the 2018 Toyota Rush in Indonesia. 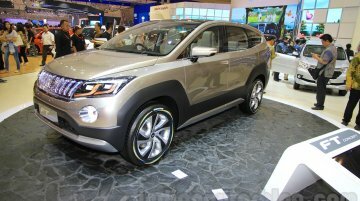 The second generation Rush adopts a more MPV crossover approach in terms of appearance. Prices of the new Toyota Rush will..
Update - A brochure scan of the 2018 Toyota Rush has appeared on social media ahead of the car's launch tomorrow. 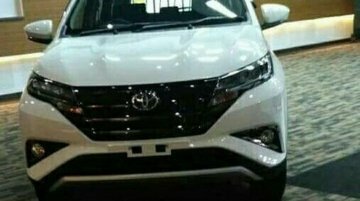 The TRD Sportivo variant can be seen with revised front and rear bumper and a..
News regarding the 2018 Toyota Rush has been coming in thick and fast from Indonesia since Tuesday. 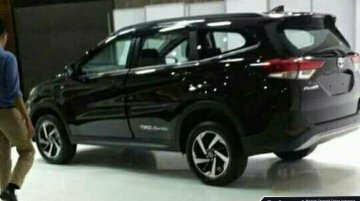 After revealing the SUV completely via a set of leaked images, AutonetMagz and its sources have..
After revealing the launch date of the 2018 Toyota Rush (2018 Daihatsu Terios), AutonetMagz has shared images completely revealing the exterior of the next gen model. 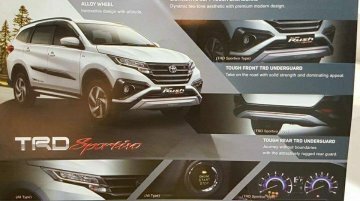 Toyota has also released an..
Indonesian publication AutonetMagz is reporting that the 2018 Daihatsu Terios and 2018 Toyota Rush will be unveiled on November 23, 2017. Although the duo has already been spotted testing in what.. 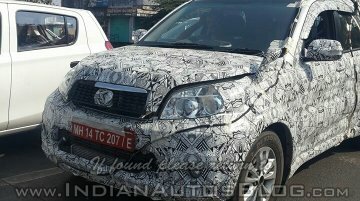 The next-gen Daihatsu Terios aka Toyota Rush has been spotted testing on public roads for the first time. 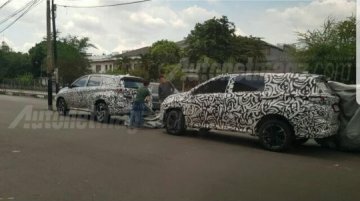 The spy pictures shared by Autonetmagz from Indonesia shed light on the exterior of the..
A report in June said that Toyota would launch the next-gen Toyota Rush in Indonesia in 2018. Indonesia-based RBA Design (by Raditya Brahmanah?) has created a rendering of the 2018 Toyota Rush to prev..
Could offer better interior space. 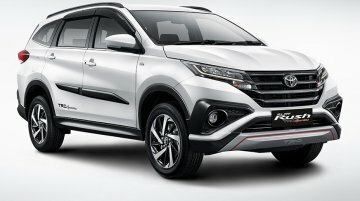 According to Funtasticko, Daihatsu and Toyota have commenced work on the next generation Daihatsu Terios and Toyota Rush, which are expected to launch in..